The Wisconsin Department of Public Instruction has released to the public District Report Cards and School Report Cards for the 2017-2018 school year. This information had been embargoed previously until Tuesday, November 13, 2018. In the State of Wisconsin every district and each school in the district are identified in one of five areas for an overall accountability rating. Districts and schools target is to minimally demonstrate measurements that place them in the “Meets Expectations”, “Exceeds Expectations”, or “Significantly Exceeds Expectations” categories. The overall accountability rating is based on scores in up to 4 priority areas combined with the ability to meet three student engagement indicators. The priority areas for districts or schools can be compared to the state average in each area. The first priority area is Student Achievement in the areas of English Language Arts and Mathematics according to Wisconsin Forward test results. Districts/schools receive .5 points for every student who scores in the basic range, 1.0 points for every student scoring in the proficient range and 1.5 points for every student scoring in the advanced range. No points are given for each student scoring in the Below Basic Performance Level category. The second priority area reports Student Growth in English Language Arts and Mathematics. This score is used to measure whether students are on target to move to higher levels of proficiency each year they are tested. This score is not calculated for high schools as students are not tested consecutive years. The third priority area is Closing Gaps. The goal is for all groups of students to be achieving and, eventually, graduating from high school. This area looks at the performance of racial/ethnic groups, students with disabilities, students from low income and students who are English Language Learners and compares their score to statewide comparison groups. Points are earned for closing gaps between the scores of the two groups. The score is based upon closing gaps for achievement, based on test scores in English Language Arts and Mathematics, and high school graduation rates. Priority area four is On-Track and Postsecondary Readiness. When applicable, points are assigned in this area for graduation rate, attendance rate, third grade reading achievement, eighth grade math achievement and ACT participation and performance. The goal of this area is to measure post-secondary readiness. Third grade reading is important to measure literacy readiness and eighth grade math for algebra readiness, both essential for post-secondary success. Student Engagement Indicators are for test participation, based upon the lowest group rate, absenteeism rate, and dropout rate. Points are deducted from the overall score if a school or district does not meet the goal in any of those three areas. 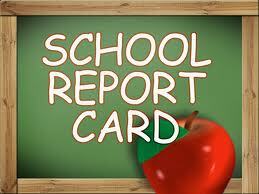 The District is identified as “Exceeds Expectations” with an overall district score of 73.2. Eagle Elementary is identified as “Significantly Exceeds Expectations” with an overall score of 83.4. Palmyra Elementary is identified as “Exceeds Expectations” with an overall score of 78.7. Palmyra-Eagle Middle School is identified as “Meets Few Expectations” with an overall score of 58.0. Palmyra-Eagle High School is identified as “Meets Expectations” with an overall score of 72.9. Overall, the district has several challenges in meeting performance expectations as detailed on the report cards. The impact of various sub-groups, such as students with disabilities, students in poverty (economically disadvantaged learners), and English Learners (EL students) present certain challenges to the calculation of scores in each building and level. Additionally, when student groups are relatively small in number significant discrepancies may create “adverse volatility” to the performance ratings as computed. The overall goal is to reduce the number of pupils that contribute no points to the calculation that fall into the “Below Basic” category. The administrative team, district curriculum and instruction staff, and staff members in each building, will be looking at these results in order to set goals for their respective schools. These results will also be shared with teaching staff. Overall there are many positives and with continued focus on student learning and new curricular initiatives the District should continue to see positive results and enhancements in student learning.